● The Structure is simple, and the operating cost is low. ● High efficiency and low power consumption. 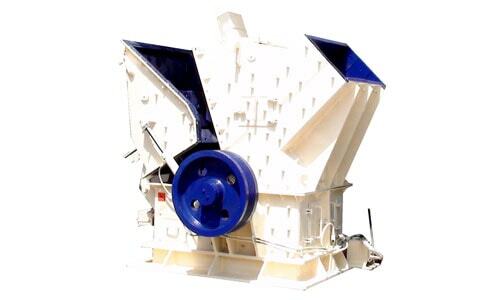 ● It is more suitable for crushing materials of mid-hardness and high hardness. ● Its product is of cubic shape and the density of piling up is high and the iron pollution is low. ● Slightly influenced by the humidity of material. ● The working noise is less than 75 decibels and dust pollution is on lower side. (MIN/MAX) RPM DRIVE HP APPROX TOTAL W.T.